Clow NFS heavy duty steps are ideally suited to warehouse and stockroom use. 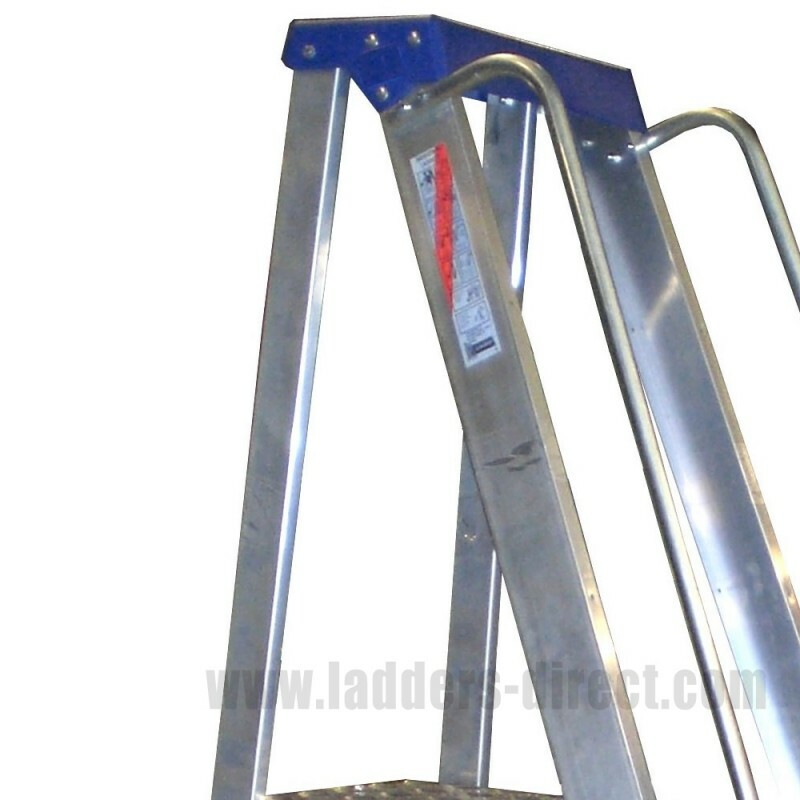 Flat packed for easy distribution these steps can be quickly and easily assembled on site. 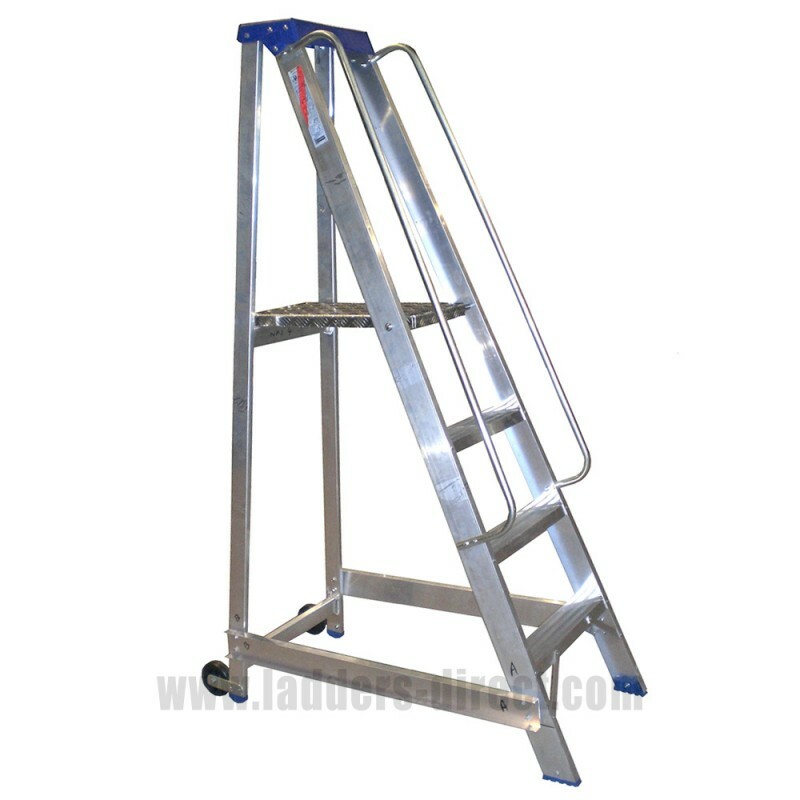 Clow NFS Steps are ideal for use within warehouses and stock rooms due to their easy manoeverability and their rigid and stable design. 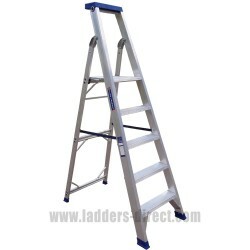 The steps are flat packed for ease of transport and can be quickly and easily assembled on site. The NFS range features large wide treads with deep serrations for a secure and safe foothold. 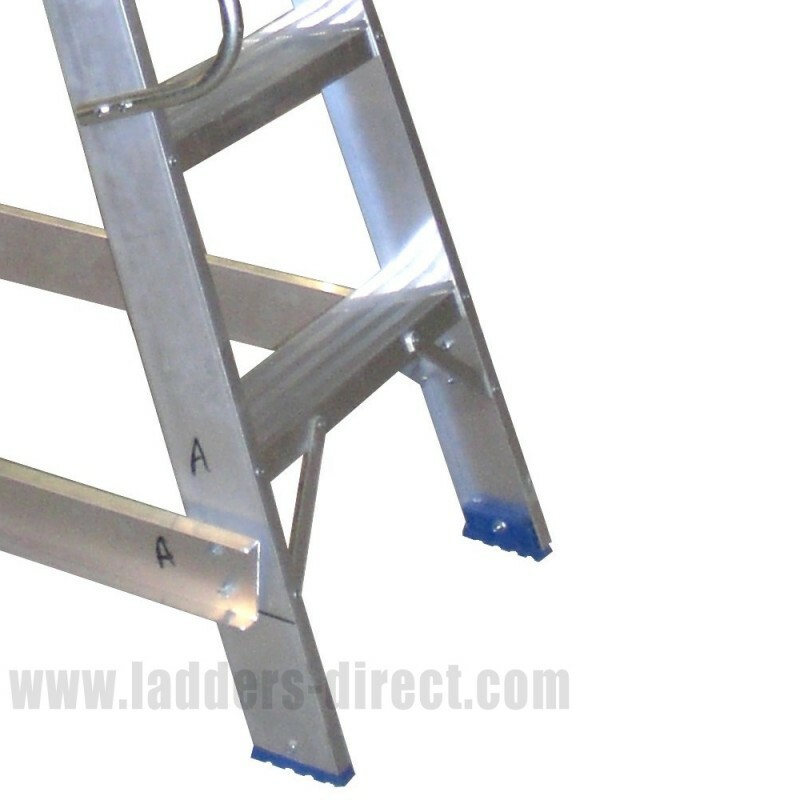 The strong channel section stiles and angle section rear frame all contribute to the rigidity and safety of these steps. 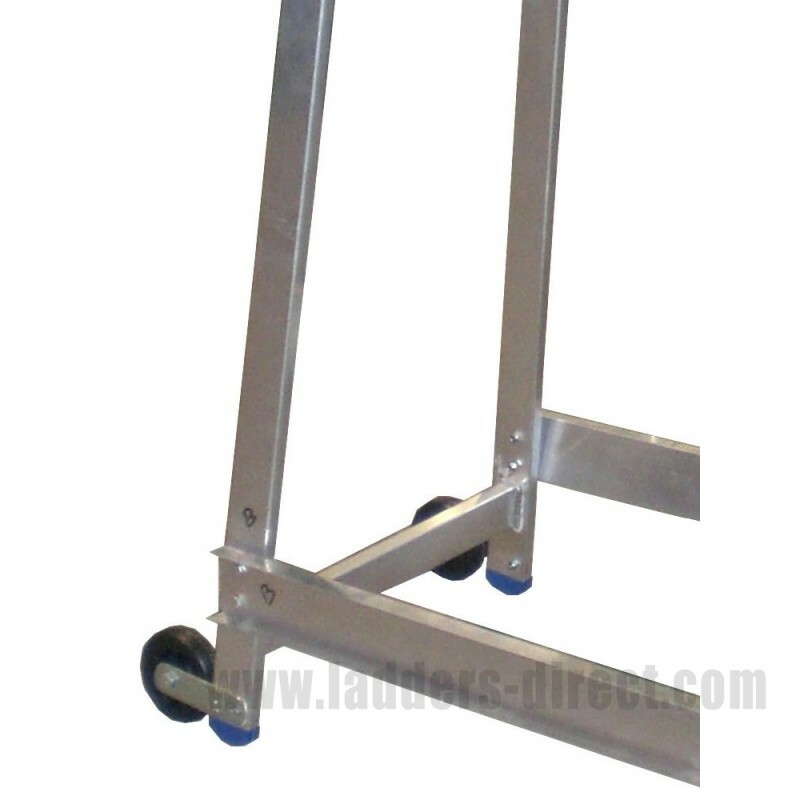 The wheels mounted on the rear of the platform steps allow the steps to be easily moved by one person. 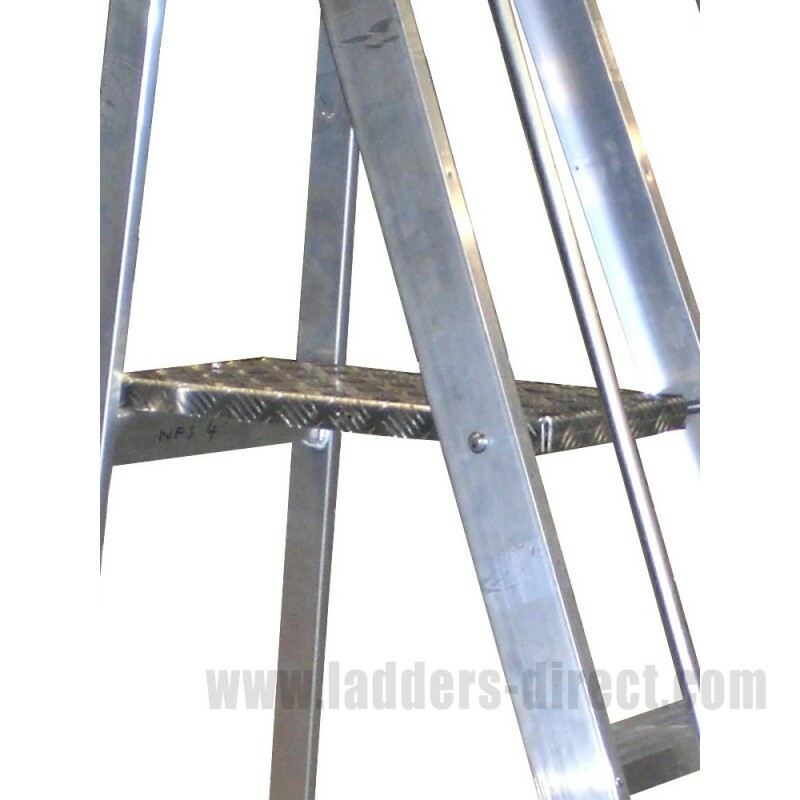 A double sided handrail is fitted to all mobile platform steps over one metre in height. 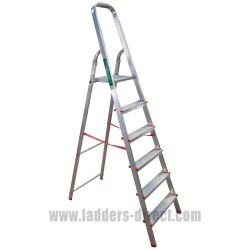 The handrails provide safe and secure access to the non-slip aluminium platform fitted at the top of the steps. These steps are only available in 4, 10 and 12 tread (inclusive of the step platform). Because of this step’s configuration and design, (fixed, non-folding), it lies outwith the former Class 1 BS2037 specification. However, please note that this step is constructed from materials conforming with the former BS2037 Class 1 Specifications. Please note these steps are flat packed for easy distribution and would be assembled on-site by the customer.